Ever since the third grade “Ancient Egypt unit in grade school, I have been fascinated by Egypt’s history, including the hieroglyphics, the mummies, the Sphinx, the pyramids, and everything else about Ancient Egypt has almost always held a unique allure for me, as well as many others. The lives ancient Egyptians lived is still somewhat quite a mystery to us, one that even researchers and archaeologists have kept chipping away at (pun intended) and seemingly always will be. Who really knows what may be unearthed in the following years to come, and who knows what enlightenment we will receive in the future on the culture and lives of ancient Egyptians? It’s even crazy just thinking about how much we still don’t know and how much we still need to learn. However, we are aware of a few things currently after decades upon decades of scientific tests, excavation, and extensive research. A lot of hard work and a lot of people have given us some real clues as to what exactly was going on back in the ancient Egypt days, although, not everything we learned was expected. 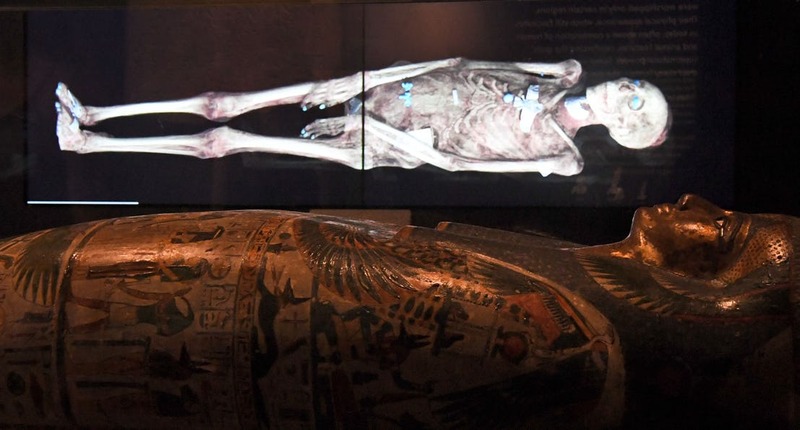 In fact, many of the discoveries we made have been downright strange, even to the scientists who were actively searching for remains, artifacts, fossils, and any other clues that would help them unlock the mystery that is ancient Egypt. Some of these weird findings happened as recent as this year, while others happened around 100 years ago. The only certain thing with Egypt is that it will never run short of surprises for us, nor would we ever want it to. The following are 15 of the most surprising things that happened to be just a tad too strange to find near the pyramids of Egypt. Give us your opinion! Archeologists, who specifically seek out secrets and information about the past, expect to find odd things while they’re excavating the Earth. It’s just something that comes with researching. But some of the things they wind up finding are more unexpected than others, as is the case what is known as Sa-Nakht, who is potentially the oldest known human giant. In ancient Egypt, Sa-Nakht was a pharaoh, and scientists discovered he would have stood at six feet and 1.6 inches tall after studying the remains they found of him. Rameses II was the tallest recorded Egyptian at five feet, nine inches tall before Sa-Nakht, and he lived 1,000 years after Sa-Nakht did, who was eventually found to have the oldest known case in history of this disorder.